My mum would have said, “it’s neither one thing nor the other”, in the way that mums do. Now, I like my winters cold and with loads of snow, and last week held the promise of real winter conditions at last, but then what happens? It gets warm again, that’s what! As I said, neither one thing nor the other. If we can’t have a proper winter I’d rather have it warm, which isn’t as unlikely as it might seem. 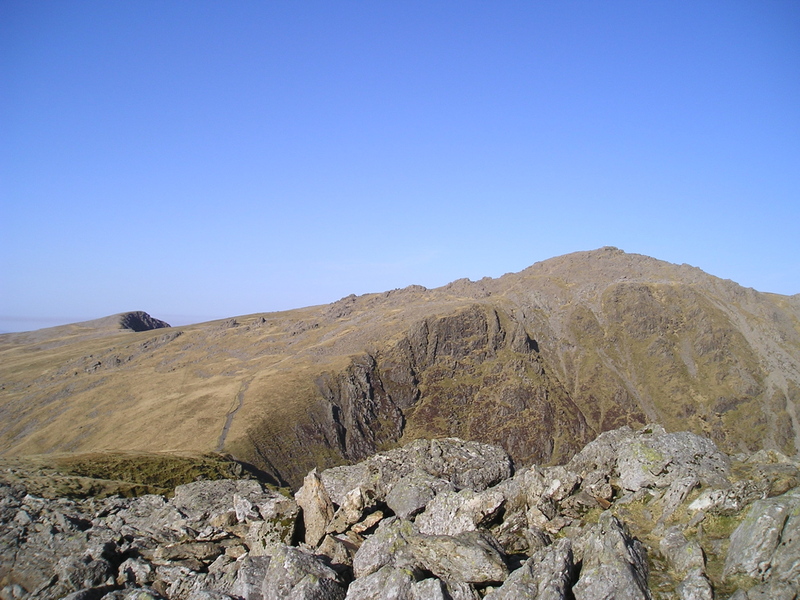 In February 2008, Chris and I had a day on Cadair Idris that was as sunny and warm as mid-summer. 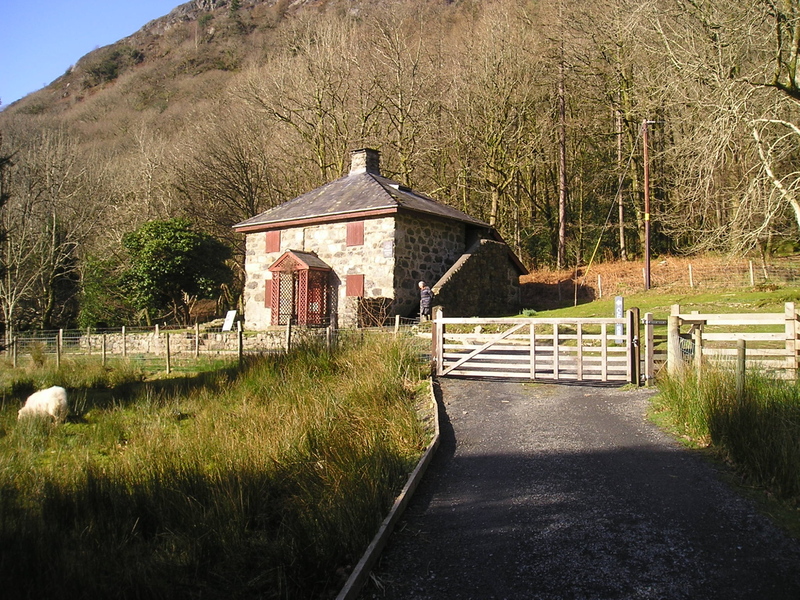 The visitor centre at Minffordd had opened for business, but we didn’t linger – February days can be warm, but they are always short. The path from Minffordd starts by weaving up a wooded hillside with interesting stream cascades over to the right. As the path emerges from the wood, the southern flank of Penygadair suddenly comes into view. 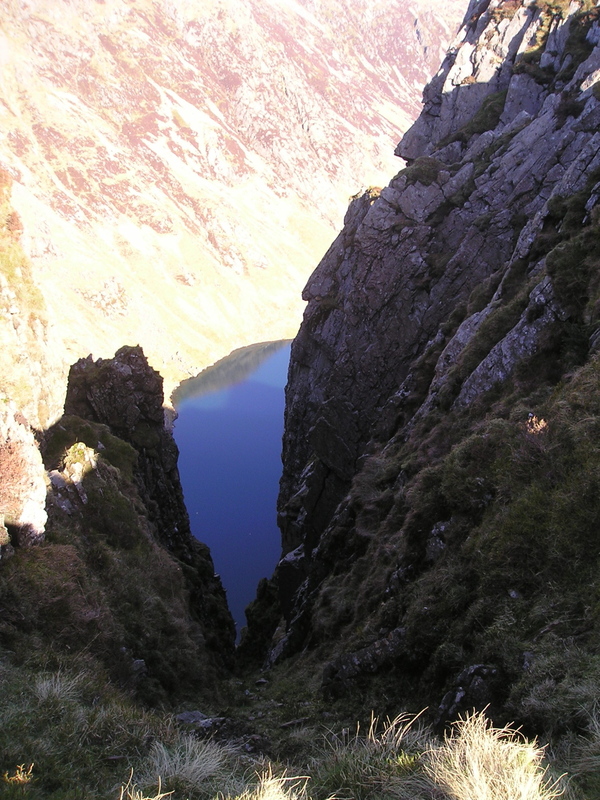 The path then curves round to enter the delightful hollow containing the small lake of Llyn Cau. From there, a steady pull up the hillside leads to the top of crags enclosing the lake below. As the view unfolds, the Welsh names suddenly start to make sense, especially if you know a few words of the language. 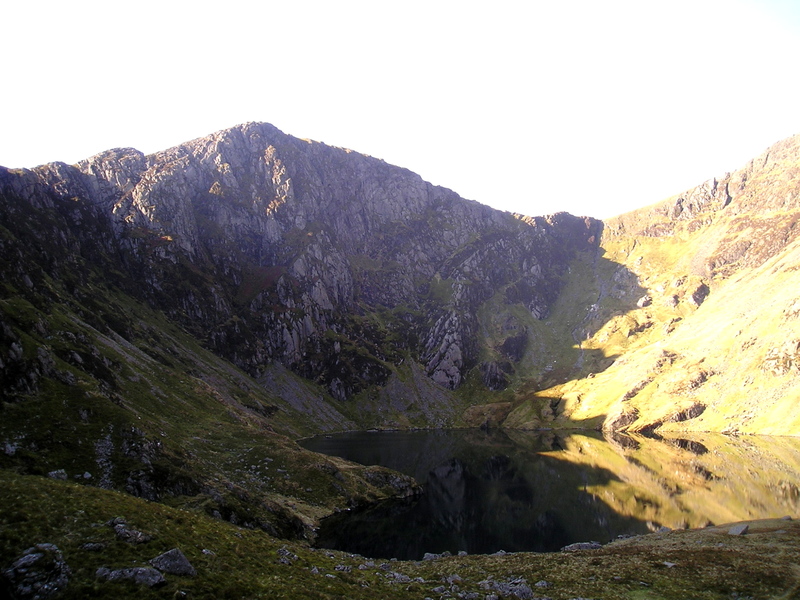 Cadair Idris means ‘Idris’s Chair’, though from a distance it’s more like a throne for a king. 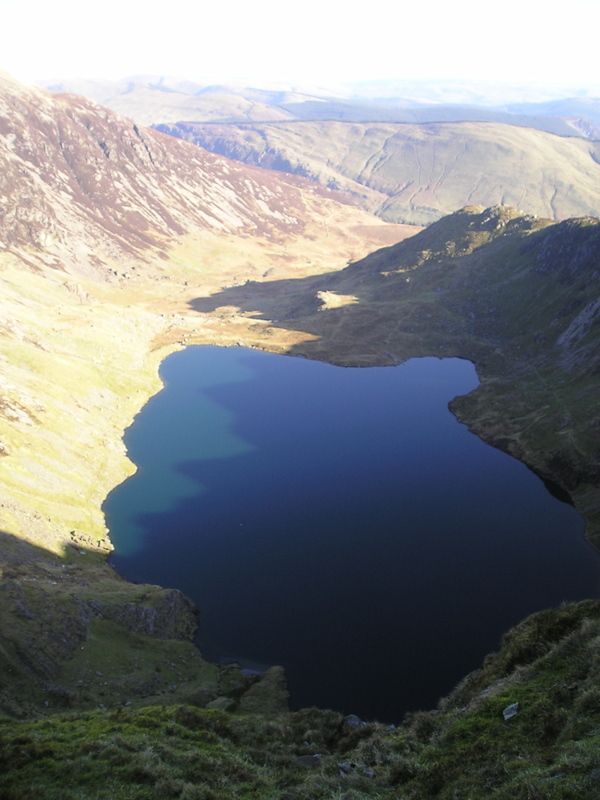 Penygadair means ‘The Head of the Chair’ (‘c’ sometimes mutates to ‘g’ in welsh), Llyn means lake, Cau means enclosed or shut and Craig means rock or crag, so Llyn Cau is ‘Enclosed Lake’, and the surrounding crags (Craig Cau) take their name from the hollow below. We followed the steep cliffs above the lake, circling round the hollow before heading upwards to the summit of Penygadair, with great views west towards the sea near Barmouth (or Abermaw in Welsh). Then, suddenly, we were at the top. The summit has the usual triangulation column, made redundant in an age of aerial surveys, but there is also a surprise in store. 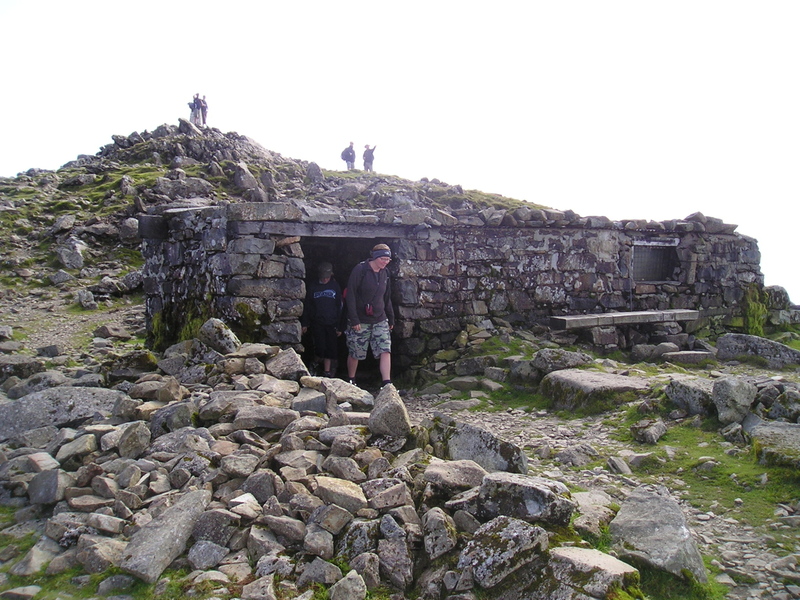 The surprise in this case is the small stone shelter at the summit. What is even more surprising is that it’s clean inside, with no litter or sheep muck – a board placed across the door opening keeps the sheep at bay and a brush encourages visitors to maintain cleanliness. 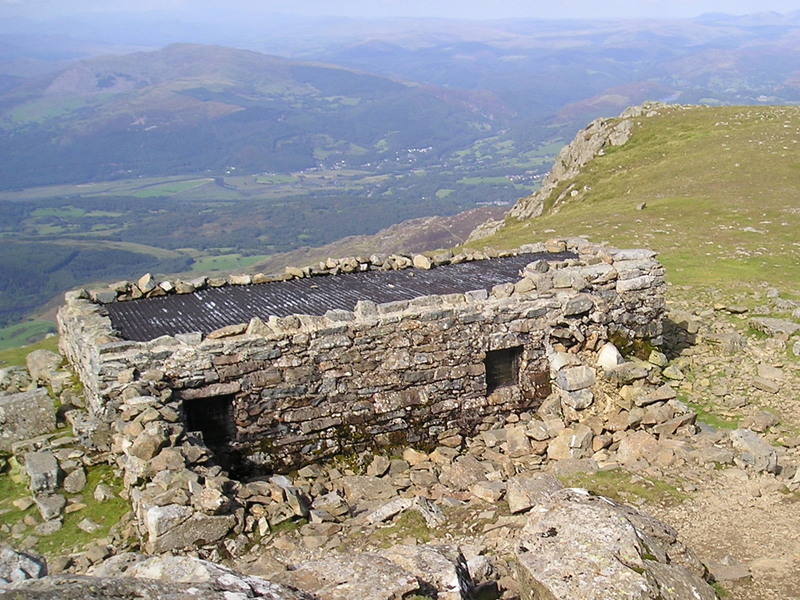 The hut would make an ideal bothy for anyone wishing to spend a night on the mountain. 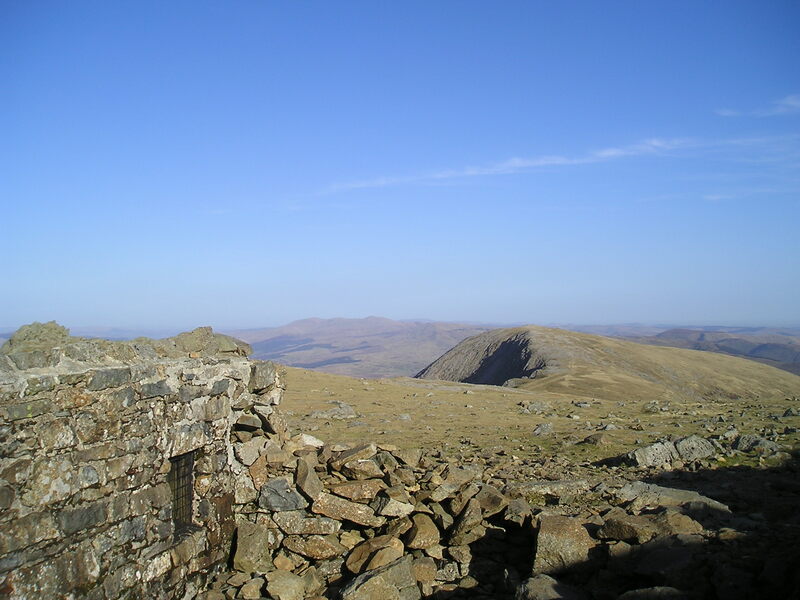 It should be stated, though, that an overnight stay is not without risk – an old legend says that anyone spending a night in the hut will wake the next day either as a poet or a madman! 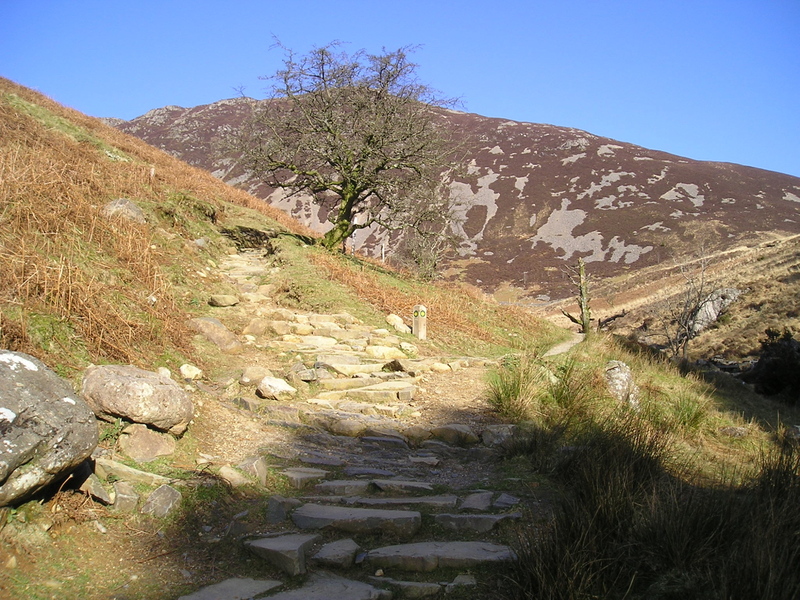 We decided not to take any chances regarding the latter and after a brief stop we set off for Mynydd Moel (the ‘Bald Mountain’), followed by one of the roughest descents we had followed in a long time – a small price to pay for what had been a summers day in February. This entry was posted in 5. 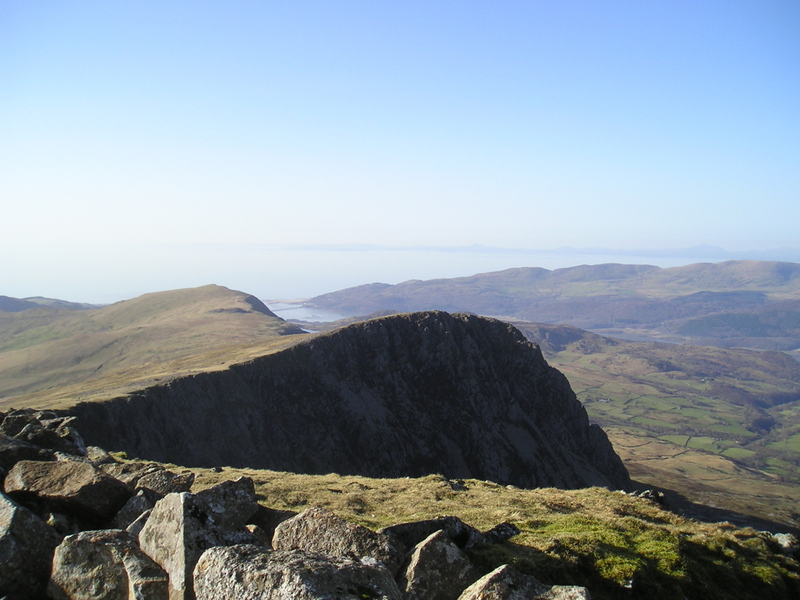 North Wales and tagged Cadair Idris, hillwalking, mountains, photography, Snowdonia. Bookmark the permalink. 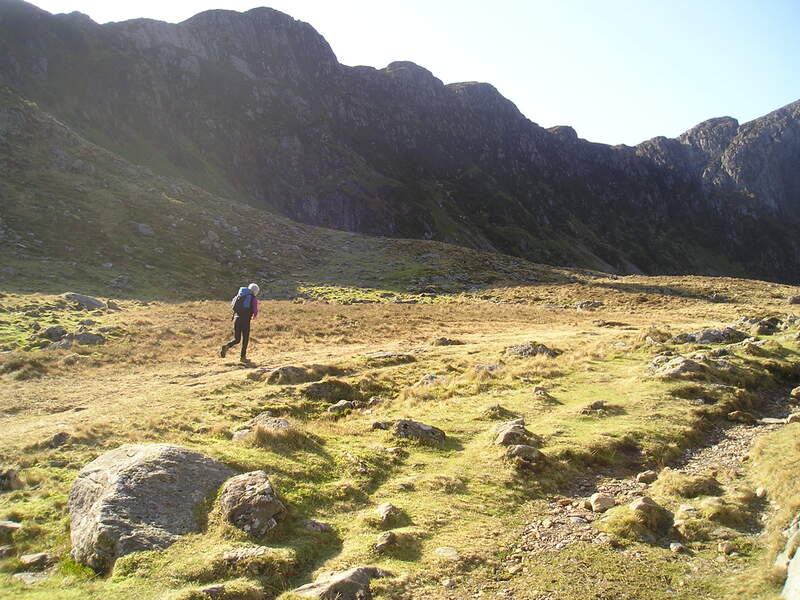 11 Responses to #65 – A warm, sunny day on Cadair Idris – in February?! enjoyed the walk paul. great views. Cheers Stan, enjoyed having you along, as always. Get well soon, that man flu is deadly – well, to men anyway! I have to say I like my winters warm, even though I like a trip on the easier mountains in good, hard snow… But I’m a proper softie about the cold! Thanks for the kind words, Carol. 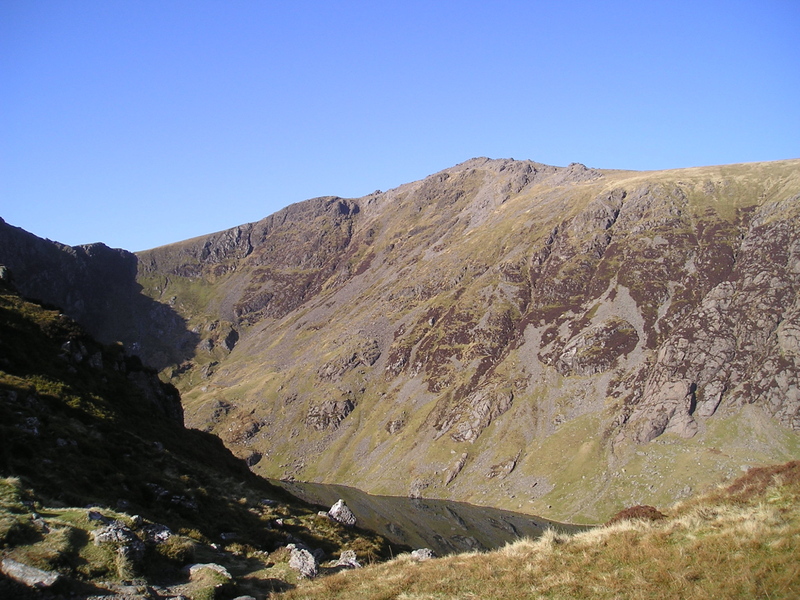 Have you tried Cadair Idris from the north (Foxes Path and Pony Path) – gives you a completely different view of the mountain. Also, forgot to ask on the above comment – have you ever tried that horrendous stone-shoot which goes up to the col just before the summit?